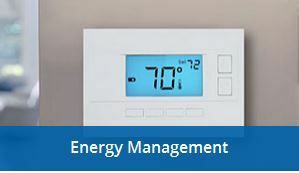 Energy Management - When you customize your thermostat and light settings, you can feel good about making your family more comfortable and managing your energy consumption. When you customize your thermostat and light settings, you can feel good about making your family more comfortable and managing your energy consumption. The joy of being able to stay in your home feeling safe, secure and comfortable is key to your health and happiness. Our medical alert system gives seniors a way to maintain an independent lifestyle. Sometimes your busy life takes you away from home. ADT Pulse and ADT Pulse Voice apps give you remote access that keeps you connected to your home. The benefits of wireless home security make it an ideal solution, whether you’re a homeowner, renter, or you’ve eliminated your home phone landline altogether. With video surveillance, seeing is believing. Find everything you need to keep you and your loved ones informed and up-to-date — even when you’re away from home.